If you are here for my Hahnemühle Harmony Watercolor Paper giveaway, you can find it here. 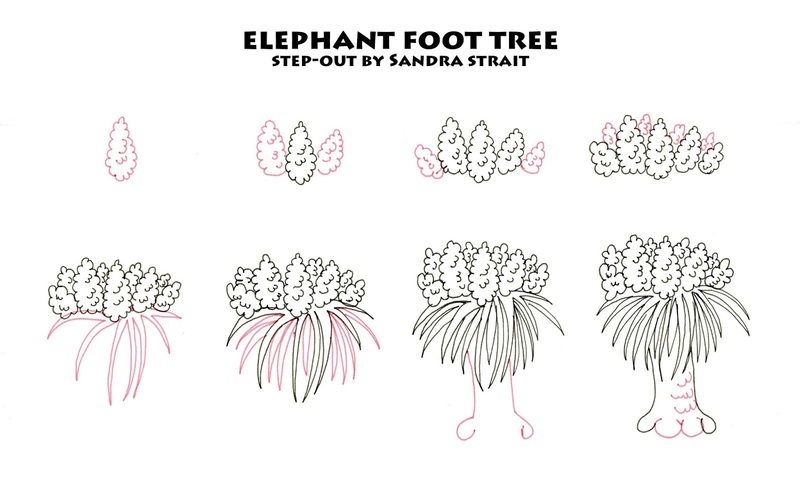 The Friday Fun & Easy Landscape Challenge May 11 – May 17: Draw a landscape using the Elephant Foot Tree step-out. Extra calorie-free brownie points for using the Rafflesia step-out as well. Believe it or not, today’s step-out is based on a real tree. It is also known as the Ponytail Palm or Ponytail Plant. This plant grows into some unique shapes and varies during the seasons. So no right or wrong here. Let your unique flag fly, and add your own touch to this tree. You get the gist – imagine, exaggerate and enjoy! 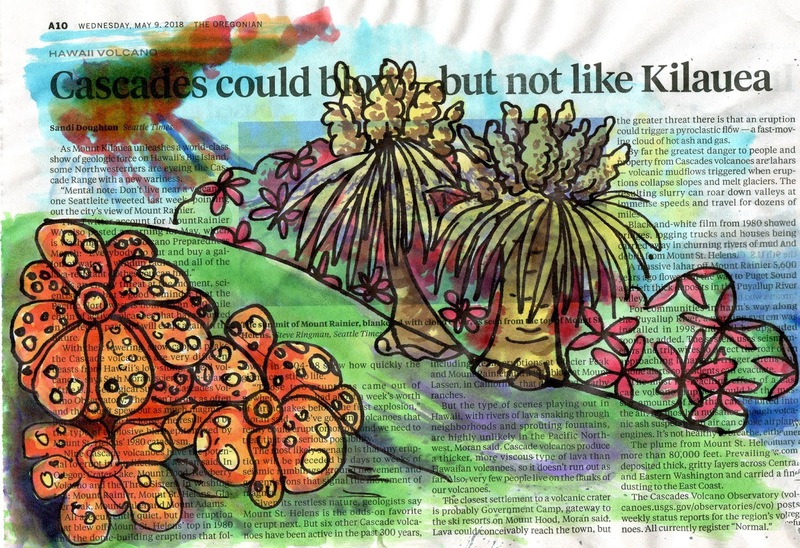 I’ve been playing with Brusho crystals and wanted to try them on newspaper, so that’s what I did for today’s example. I used Zebra Pen’s PM-701 permanent marker for the outline.